Aussie Holiday on a Budget gives no warranty and makes no representation as to the accuracy or sufficiency of any description, photograph or statement contained in the website and accepts no liability for any loss which may be suffered by any person who relies either wholly or in part upon the information presented. All information provided is subject to change without notice. This site contains links to other sites. Aussie Holiday on a Budget is not responsible for the privacy practices or the content of such Web sites. Aussie Holiday on a Budget makes no guarantees or representations regarding placement of your ad or web page. Aussie Holiday on a Budget is not liable for any errors or typos which appear in your ad or your web pages (regardless of whether the relevant error is our responsibility or yours). 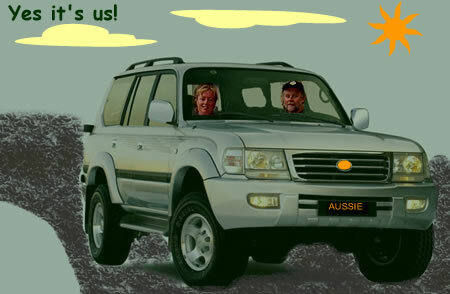 Aussie Holiday on a Budget provides services to you "as is" and without any warranty or condition, express or implied. Aussie Holiday on a Budget will not be liable for any lost profit or any direct, indirect, incidental, special or consequential loss or damage (including but not limited to economic damages) incurred by you arising out of or otherwise in connection with your use of our services (including as a result of any negligent act or omission). Any collection of Personal Information from customers is only that which is relevant and appropriate for operation of this business. We use customer contact information to send them information about our business and to contact them when necessary. Personal information is not provided to third parties unless such disclosure is required by law. We use third-party advertising companies to serve ads when you visit our website. These companies may use information (not including your name, address, email address or telephone number) about your visits to this and other websites in order to provide advertisements about goods and services of interest to you. If you would like more information about this practice and would like to know your options in relation to·not having this information used by these companies, click here .